Paris Weekender - The American Library in Paris & Writing Workshop this Weekend! The American Library in Paris & Writing Workshop this Weekend! The American Library in Paris is the largest English-language lending library in continental Europe. 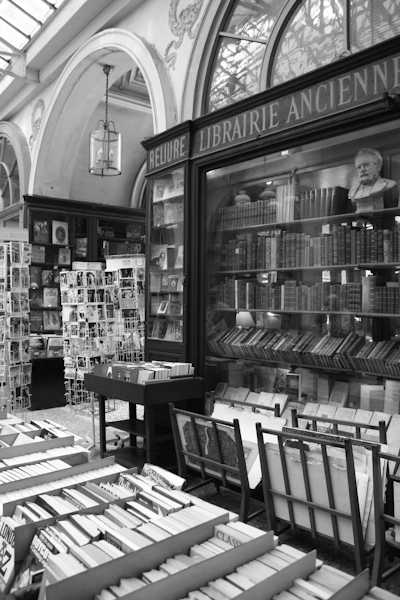 But this hub, situated in the 7th arrondissement at 10 rue du Général Camou, is more than just a book lending institution. The library hosts discussions with authors, book groups, kids and teen workshops and other events two to three times a week. It is truly a community center for the city’s anglophones (expats and French alike). All evening events at the library are funded through private donations and are free and open to the public. I am of course drawn primarily to discussions involving travel or food writers and it’s rare a week goes by without one of these! Founded in 1920, the American Library in Paris has welcomed notable patrons and members over the years, including Edith Wharton, Ernest Hemingway, Gertrude Stein, Thornton Wilder, Stephen Vincent Benét and Sylvia Beach. The library’s website includes a 1-page summary of the institution’s history that you can access here. The library welcomes its members and visitors alike. See the library’s website for more information on how to become a member or to obtain a daily or weekly pass. Now in its 4th year, the Young Authors’ Fiction Festival aims to strengthen community among English speakers in the Paris area through the art and craft of storytelling. The Festival’s precursor, The Red Wheelbarrow Writing Contest, began in 2001 with one school, one bookstore, and a handful of Paris-based members of the Society of Children’s Book Writers and Illustrators (SCBWI), who acted as judges. Over the years it grew to include the participation of more than a dozen schools and 350+ young writers. And it continues to grow each year. When the initiative outgrew the Red Wheelbarrow Bookstore and l’Ecole Massillon, its original home, it was reconceived as the Young Authors’ Fiction Festival and adopted by the American Library in Paris and Time Traveler Tours, publisher of educational StoryApps and Tablet Tales for youth. These two organizations co-coordinate the Festival to this day, with the help of SCBWI-affiliated judges from around the world. It is run on 100%-volunteer labor and has become an annual tradition in many Paris-area schools. The Festival is open to youth, ages 5-18, who live in the greater Paris area and who write in English. It offers a wonderful opportunity for educators to encourage creative writing amongst their students. But many independent writers, who attend French-only schools, submit to the YAFF as well. For these students in particular, the Library seeks to provide an annual writers’ workshop with the goal of helping these participants prepare their stories for submission. Facilitated by Sarah Towle, Author and of Time Traveler Tours, the workshop, which will be held this weekend, provides writing tips, ranging from generating your story ideas, to revising, to critiquing, to the nuts and bolts of submitting to YAFF. The YAFF submission deadline, as always, is April 1st. No foolin’! The Festival culminates at the American Library in Paris on 14 June with the Festival Celebration when the finalists in each grade are revealed. All participants are honored at the Celebration, however, and everyone is encouraged to attend. To learn more about the Young Authors’ Fiction Festival, visit the Library website. To sign up for Sarah’s workshop, click here. Space is limited! If you can’t make Sarah’s workshops, but would like writing tips targeted to young author’s, check out Sarah’s free online workshop here. Evenings with an Author: John Baxter seeks out delicious and endangered foods of France in The Perfect Meal. Tracy Burns discusses OECD’s new publication, Trends Shaping Education 2013. Jude Smith of AAWE will moderate. Evenings with an Author: Annik La Farge talks about On The High Line: Exploring America’s Most Original Urban Park. Word for Word performs You Know When the Men Are Gone by Siobhan Fallon at the Salle Adyar. Reservations required. Used Book Sale at the Library on both days of the first weekend of the month. Artist Jan Olsson will talk about the art of printmaking in conjunction with her Recontres: Words and Images exhibit. Evenings with an Author: Pamela Druckerman will share insights on her latest Bébé Day by Day. Jude Smith moderates an important discussion with parents and teachers on “Moving up to collège,” in cooperation with AAWE and Message. I strongly encourage you to sign up for the American Library in Paris’ bi-weekly e-newsletter, so you are sure not to miss out on the many happenings at the library!